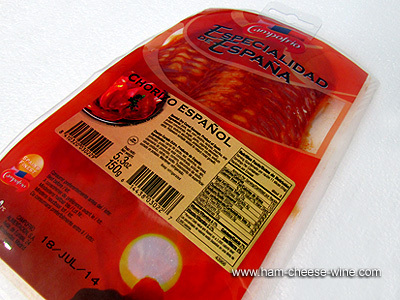 Campofrío offers a more convenient format, sliced sausage, with the same quality. The "Campofrío nurtures your life" is a concept that has lead this company to the constant search for healthy foods to improve the quality of life of consumers. It offers a totally reliable product made by traditional methods, and using the latest technologies. 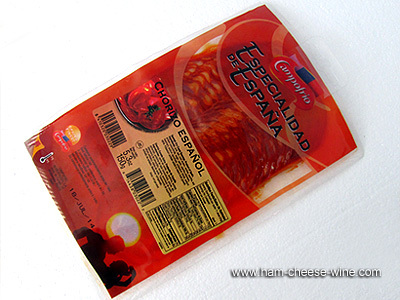 Sliced Sausage Campofrío is imported from Spain vacuum packed in sachets of 5.3 oz (150 gr). On tasting, it provides a delicious flavor derived from the mixture of pork with basic ingredients (garlic and La Vera paprika). Consumption of Sliced Sausage Campofrío is not only a convenient option but also provides benefits to our health because it contains amino acids that aid digestion, Vitamin B-1 that helps the body use certain amino acids more effectively and turn food into energy, Vitamin B-12, with a positive influence on nerve function and selenium, which helps prevent damage caused by free radicals. Sliced Sausage Campofrío is a ready to serve product, suitable with toast bread and Manchego cheese, but also can be added the lentils, beans and chickpeas. It is exquisite for pasta dishes like macaroni, spaghetti, and pizza, cold salads, as well as cooked in rice, potatoes, stir fry, scrambled eggs and omelettes. The manufacturing process of Sliced Sausage Campofrío is traditional for Spanish sausages. It is made with minced but low fat pork meat, seasoned with paprika and garlic, all stuffed into natural casings. Ingredients: Pork, paprika, sea salt, vegetable oil, garlic, spices, ascorbic acid, citric acid, sodium nitrate, potassium nitrate, BHT, TBHQ. with different characteristics and properties, but with the common denominator of being 100% healthy and natural. Campofrío has the most modern industrial park in the trade. In Spain it owns 7 production plants, including the most advanced slaughter in Europe, located in the city of Burgos. Internationally, in addition to its significant export activity, Campofrío has production centers distributed worldwide. Today Campofrío is an international brand that reaches more than 250 million consumers in over 45 countries. The red color so characteristic of sausage comes from paprika. Its large size facilitates mixing pork meat with seasonings. The process starts with the mix and knead the meat with spices, it is put to rest and is macerated. Then the dough is stuffed into pig intestines. It is cured by exposure to air in a natural environment, choosing suitable locations based on their characteristics of temperature and humidity. During the maturation time there are processes of drying and acquiring texture firmness, while the aroma, fruit of the sum of the natural flavors develop. 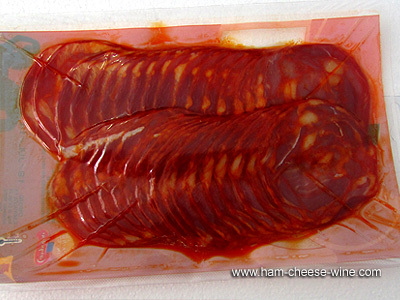 If you are a frequent user of sausages, Sliced Sausage Campofrío is the best choice for it saves time and labor. The smoky flavor of Sliced Sausage Campofrío has the distinctive taste of Spanish sausage that sets it apart from other sausages from Mexico or even from other European sausages.